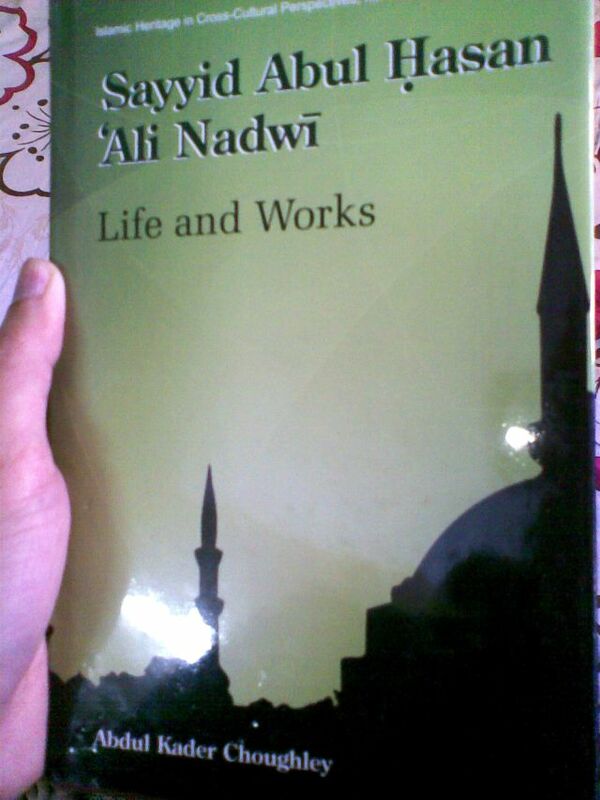 Book Unboxing and Preview of ‘Sayyid Abul Hasan Ali Nadwi: Life and Works’ by Abdul Kadar Choughley. One of life’s little pleasures is reading a good old book or better still a hardcover on a rainy wintry evening…the smell of its ink is a big part of that experience, which is why I feel eBooks will never be able to match that feel, let alone replacing the actual book. eBook’s, my dear readers, are but a compromise. And if the book happens to be on one of the greatest Islamic personalities of the last century, the joy only multiplies. Categories: Book Journal, Book previews, Daawah, General, Islamic Media, Original, Unboxing | Tags: abdul kadar choughley, abul hasan ali nadwi biography autobiography, abul hasan ali nadwi book, abul hasan ali nadwi english book, islam muslims deoband india, nadwahtul ulamah nadwah uttar pradesh, sayyid abul hasan ali nadwi by abdul kadar choughley, the.ijtema unboxing | Permalink.